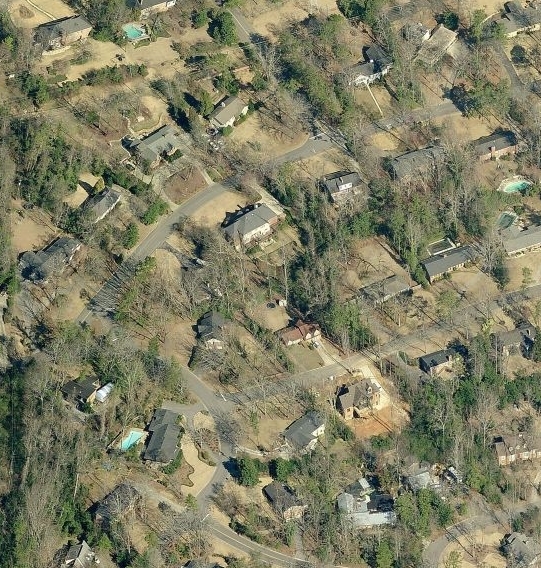 The 70s, as much as any decade from the 1920s to the 1990s, has gotten a bad rap in contemporary urban planning circles. 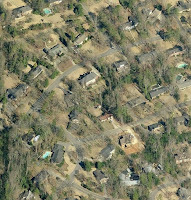 It was the golden age of the suburb and the nadir for many urban areas around the United States, not to mention a boom time for highway construction and the development of very low density suburbs on non-gridded street patterns. Surely there is nothing we can glean from this time period that has applicability to the urbanism of today? Well, this is perhaps not entirely true. The 1970s, as well as the decade before it, arguably represented the first time in the urban history of America that planners self-consciously pursued entirely pedestrianized environments, although the inspiration for these areas went back to flights of imagination from the 1920s if not earlier, and the 1950s saw the genesis of several of these ideas, at least in their embryonic forms. I refer not only to pedestrianized main streets, but to the five great pedestrian creations of the age: the enclosed shopping mall, the international airport, the vacation resort, the convention center, and the network of tunnels and/or skyways. Each of these represented a vision, if incomplete, for pedestrian-only circulation and commerce on a grand scale, often on the footprint of a small town. Do I jest? No. The future, if the human imagination is a key to the future, was pointing toward pedestrianism in the 1960s and especially 1970s. This was, after all, the age of Paulo Soleri's implicitly pedestrian-centric arcology. Gas prices were soaring by the early 70s. The 1939 World's Fair vision of high-speed highways was out, and a more refined tecnho-utopianism involving futuristic megastructures was in. The great majority of the buying public rejected this vision for their private lives, but as the success of enclosed malls shows, they gladly embraced it in many other contexts -- in commerce, for employment, in travel and for recreation. The arcology: no highways here, or at least, not the central element! Source. The tunnel system of Houston and the skyway system of Minneapolis, both begun in earnest in the 1960s, were built out through the 1970s. Enclosed mall construction, which began in 1956, was in such a boom that four enclosed malls opened from 1969 to 1980 in the city of Toledo, Ohio alone. Air travel multiplied through the 1960s and airports were expanded on an unprecedented scale. 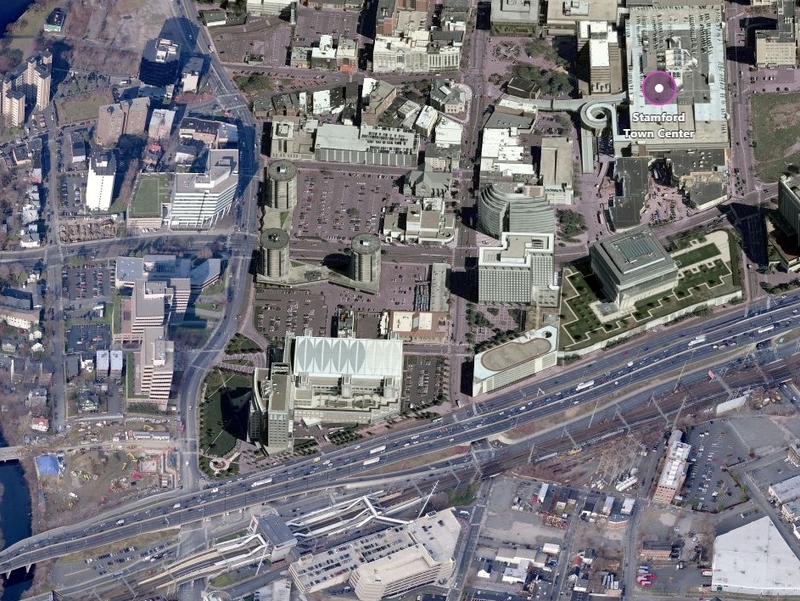 The very idea of the convention center, although it had been around for decades, attained gargantuan scale by the latter half of the 20th century. The hostility toward these type of environments in recent years, has, it seems to me, been based on two primary grounds: 1) the environments, being private and privately controlled, are corporate and sterile; and 2) although the environments themselves may be pedestrian, they are dependent for their business on car-driving customers. Of these two critiques, however, the second is not inherent to the form of the structures themselves. Rather, a pedestrian environment such as a tunnel system or an enclosed mall is, as the cities of Japan or Korea bear witness, a better partner to transit and walking trips than it is to car transport. That the United States largely squandered its opportunities to integrate these structures and systems into its transit networks is an indictment of city planning, but not necessarily of these forms themselves. Osaka's Keihan Mall, over the Kyobashi railway station. 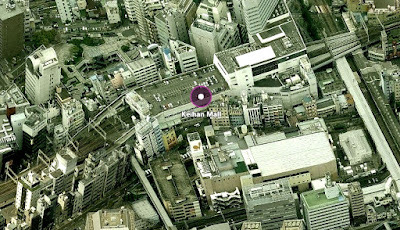 Bing Maps. The mall, at top right, and station, at bottom left. 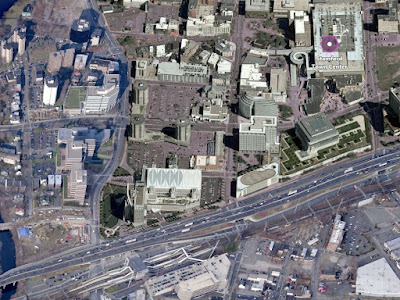 Bing Maps. What were they thinking, one could ask. Note also the very low value placement of the interstate highway just north of the railway line, although this area probably had higher property values than the south side of the tracks at the time of the highway's construction. In truth, the Stamford planners had given up entirely on any idea of pedestrian circulation outside the new megablocks. The curated spaces within the new mall were designed to be accessed by car alone, and the structure to this day presents a fortress-like appearance to the outside. The decision cannot even be explained by a desire to exclude train riders, who then and now tend to be well-heeled commuters to New York and are in general better off than most. Had the planners of the 1970s left the city alone, and simply redeveloped the train station as a mall, who knows what might have happened by today? Yet these questions need not be hypotheticals. Cities have the power to make these changes today. 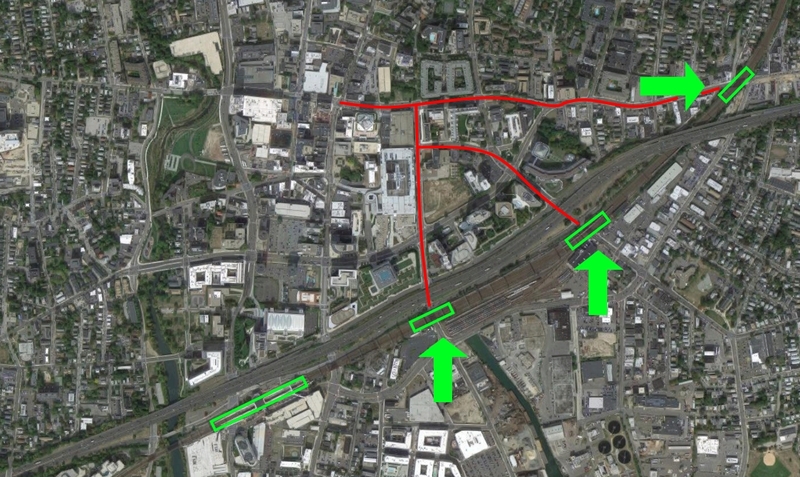 Stamford cannot move its mall, but it can consider a new infill station closer to it. It can consider how to improve pedestrian mobility. It can revamp its bus network. It can do many things to address past mistakes, but it must be able to understand its mistakes, and even more importantly understand how these creations of the 1960s and 1970s can be a force for good, not merely magnets for a car-driving public. Plan a new station. New Haven already did it, twice, and Bridgeport is doing it, so this need not be some impossible fantasy. The overpasses need to be replaced anyways, so merge the projects. Use the gains in real estate value to improve pedestrian connections. Narrow the streets. Add bike lanes. It need not be that difficult! If hostility toward the idea of enclosed malls, or skyway systems, or convention centers is retained, however, then cities may or may not succeed at revitalization, but they will squander again an opportunity to use these forces for good rather than ill.
See Mallville by Andrew Price for a related perspective on the traditional city aspects of the American mall. As far as I can tell, the train station in Stamford is also designed to accessed only by car, given that it's surrounded by a highway on one side and huge garages on all the other sides. Indeed, all the stations along the New Haven Line have huge parking lots immediately surrounding the stations, and these parking lots have severly underpriced parking and months-long waiting lists. Part of the motivation for building more infill stations is to provide more parking. That is largely true, but there was (about 15 years ago?) a pedestrian passage constructed under I-95 that contains about 5-10 businesses of a practical nature -- a shoe repair place, a sandwich shop, a wine store, a barber, etc. I wrote about this a bit more in the most recent post, but I think it could serve as the nucleus for an expanded commercial area. It is true that many of the infill stations are primarily to serve drivers. Certainly Fairfield Metro does that. 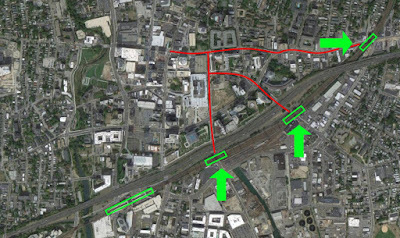 The new Barnum station is supposed to be more along a TOD model, but we will see -- that was the plan for Fairfield Metro as well.